The 23rd stage of the European Grand Prix tournament on Belgian soil with take place in Gent Meeting Center. The conference centre already has experience with the organisation of major Othello event as they were our partner for the organisation of the World Othello Championship in 2009 and European Grand Prix tournaments in 2013 and 2015. 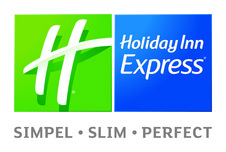 Jointly with the Holiday Inn Express Gent they will foresee in all facilities. - The most conveniant way of travelling from Brussels Airport (Zaventem) is by train. Find all appropriate information about tickets and schedules on the website below. Ghent Sint Pieters is the train station to travel to. - The fastest, cheapest and best way to travel from the low budget airport Brussels South (Charleroi) is taking a Flybus. It is required to book you ride upfront, but when doing so in time a ride to Ghent would only cost you 9€ (fees start as of 5€). You will also arrive at Ghent Sint-Pieters train station.